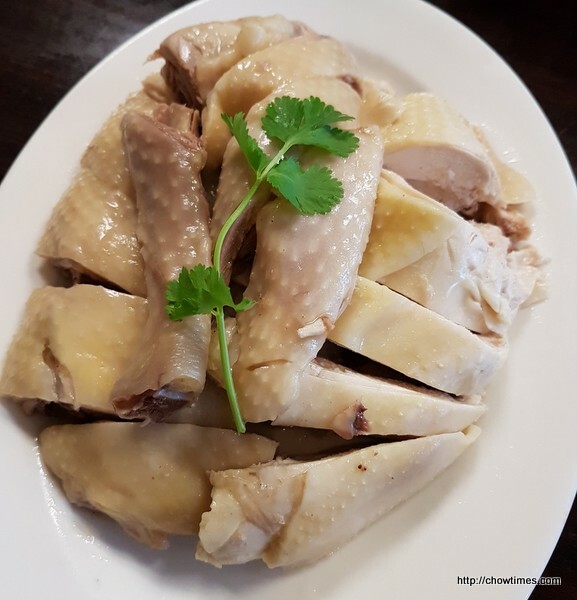 The above is the restaurant’s signature dish; Hakka Steamed Salted Chicken. The meat were firm and the skin was gelatinous. 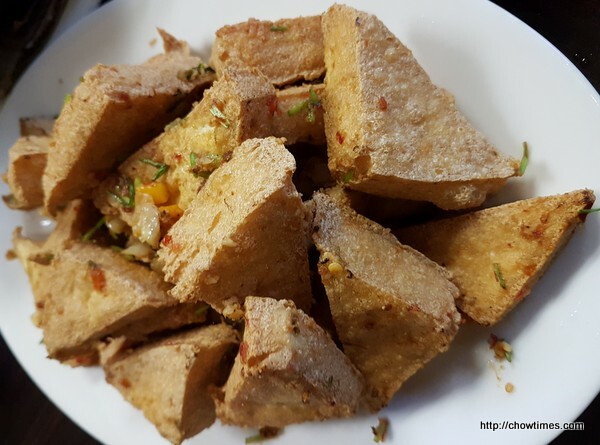 Marian picked the Deep Fried Tofu with Chili Salt. 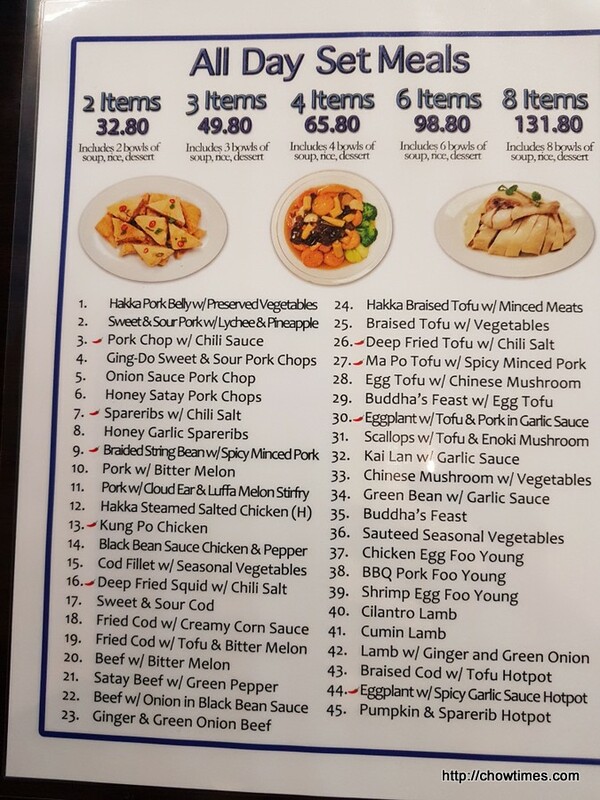 The tofu was crispy on the outside. 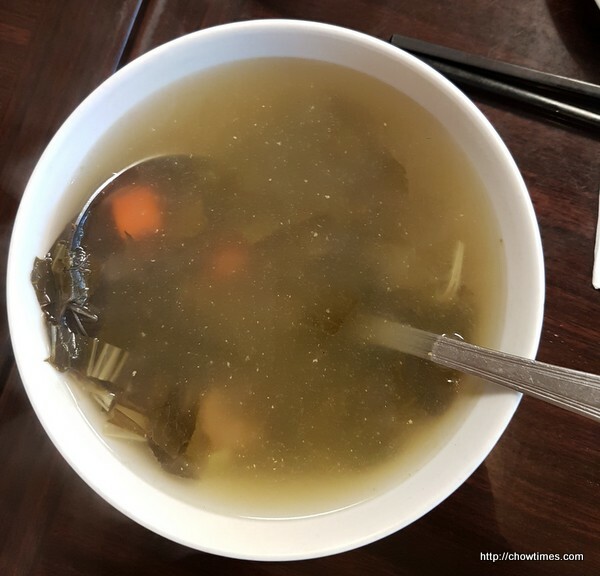 Marian asked for vinegar for dipping the tofu to cut the greasiness from the deep frying. 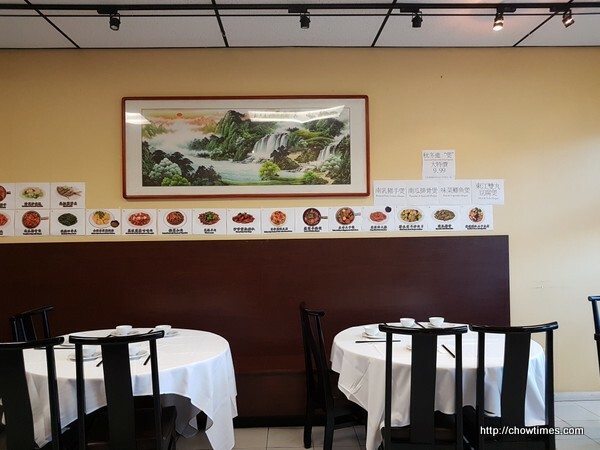 We also ordered the Hakka Pork Belly with Preserved Vegetables since this restaurant’s specialty is Hakka cuisine. 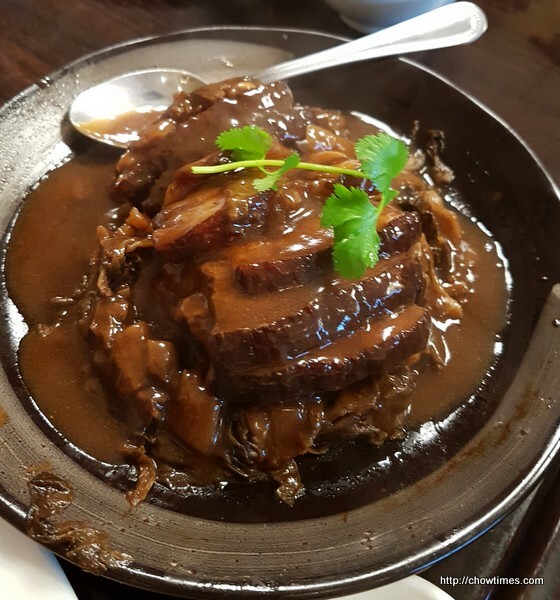 The preserved vegetables go well with steamed rice. 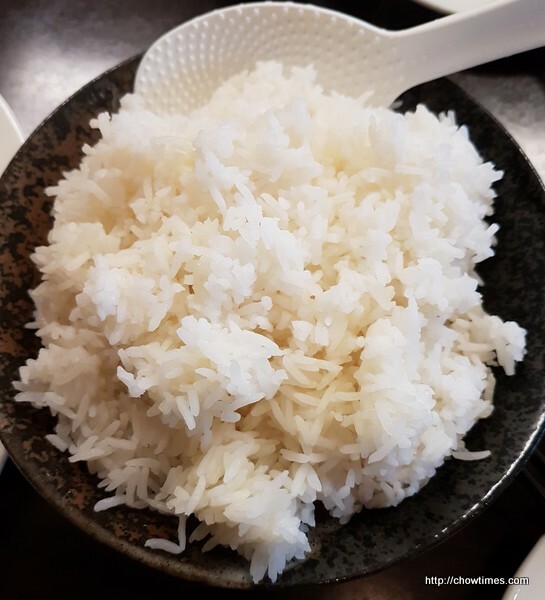 The rice came in one big bowl. 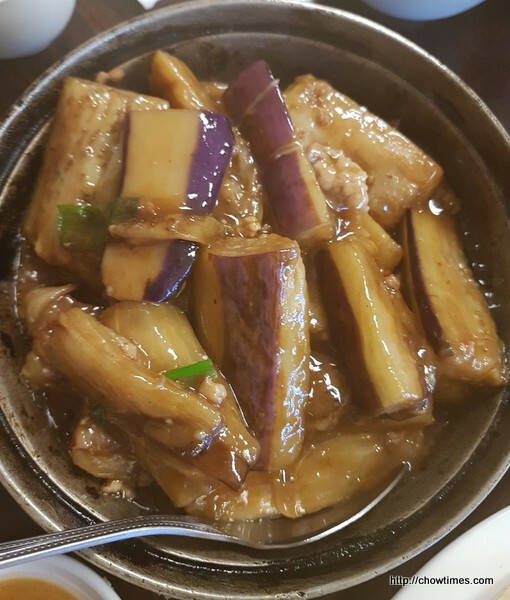 To balance our meal, we had Eggplant with Spicy Garlic Sauce Hotpot. This is the only dish that we managed to finish. The set came with a complementary dessert. 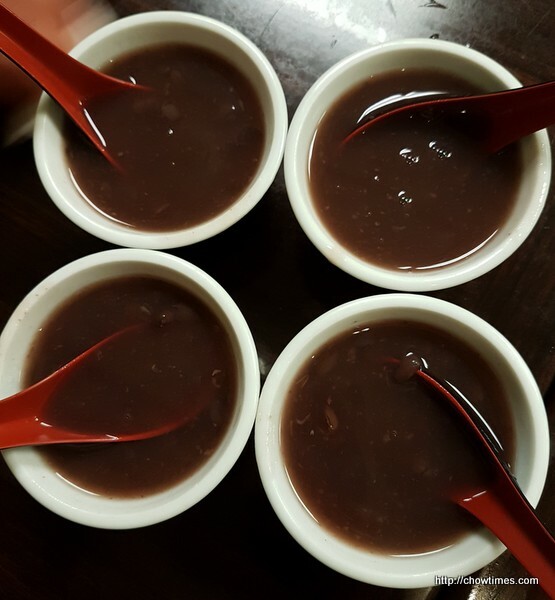 The red bean soup was sweet and on the watery side. 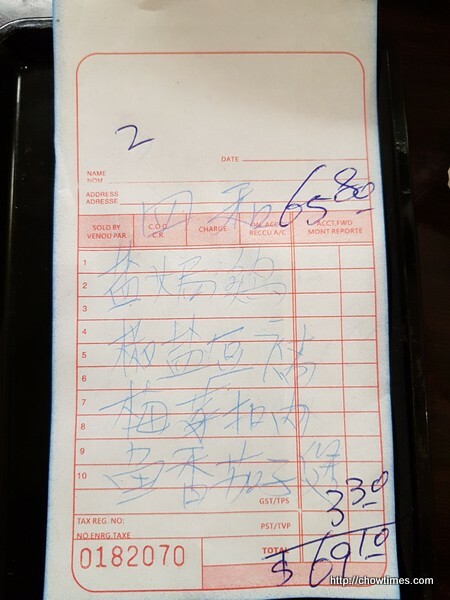 We paid cash for the meal. It was so good to meet up with you ladies. I’m really happy for Emily for her daughter’s wedding coming up next year. I wish Marian and Lorna to have a smooth plan for the trip to Wuxi for the wedding and vacation.